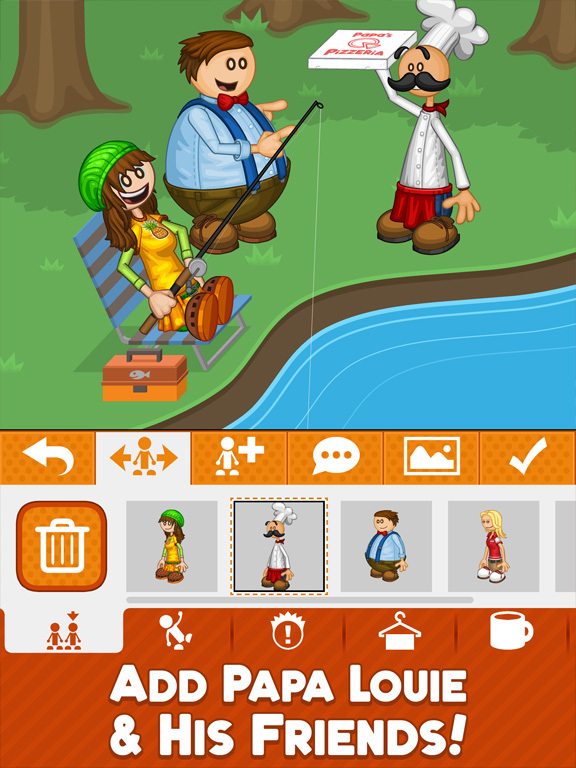 Create characters and build scenes in Papa Louie's world! Let your creativity shine in Papa Louie Pals, where YOU create the characters and stories in Papa Louie's world! Design and save a collection of your own unique Pals, and use them to build scenes and stories to share. 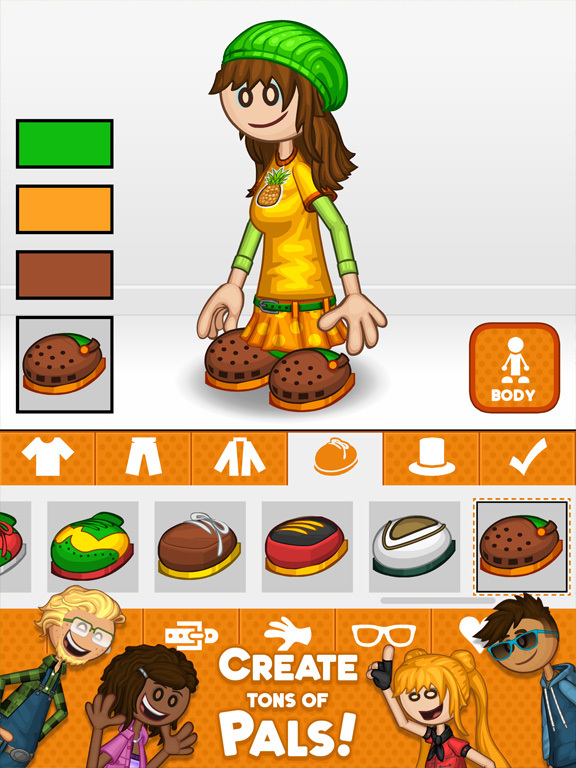 CREATE TONS OF PALS: It's now easier than ever to design your own characters! Use sliders to adjust your Pal's body, choose from a wide range of skin tones and hair colors, and add extra details like freckles and makeup to your Pal. Find just the right hairstyle for that perfect look, and change the mouth and eye styles to give them some personality. Switch to the clothing section at any time to choose from hundreds of unique shirts, pants, skirts, jackets, hats, and accessories for your Pal, and change the colors of each item to create an amazing outfit. BUILD SCENES AND TELL STORIES: Creating Pals is only the beginning! 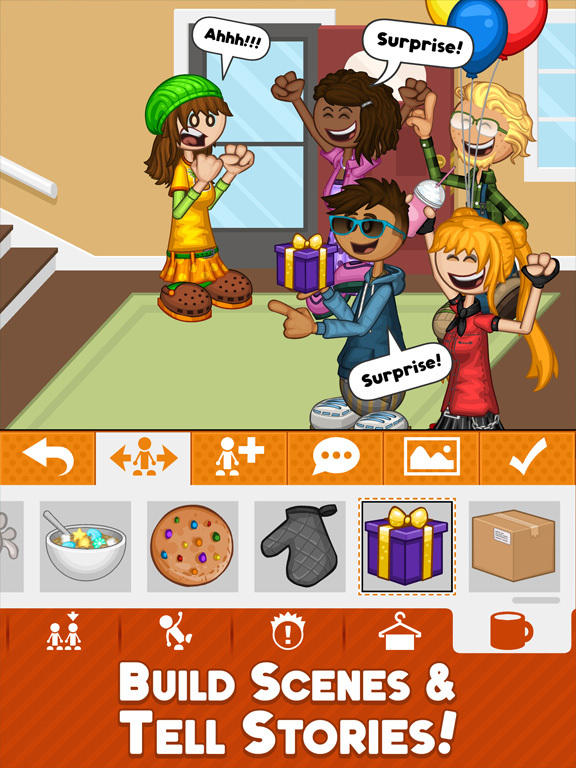 Combine your Pals with scenery, word bubbles, and props to arrange your own custom scenes. You can place Pals anywhere you like in a scene, and use gestures to rotate and resize them. Choose from a wild assortment of poses for each character, and change their facial expressions to match their mood. There are a variety of backgrounds you can use in your scenes to help tell your story, and dozens of props that your Pals can hold in their hands. 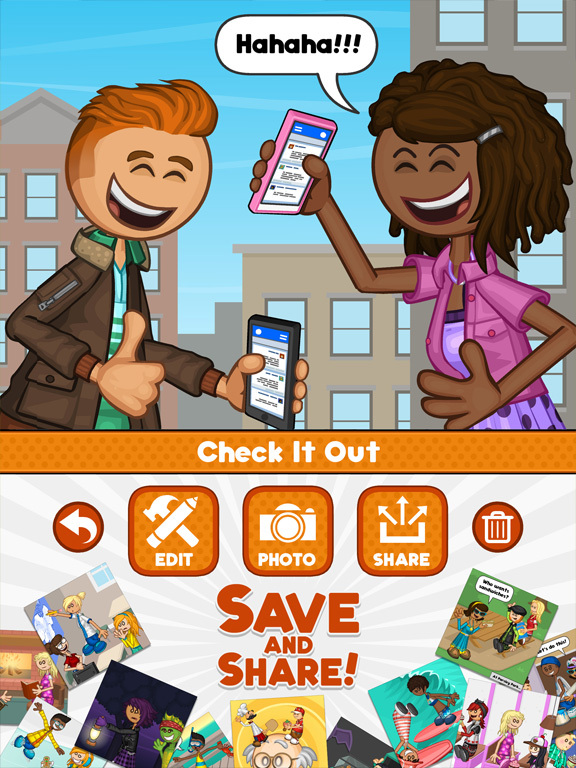 If you Pals have something to say, you can also add word bubbles and captions to the scene! 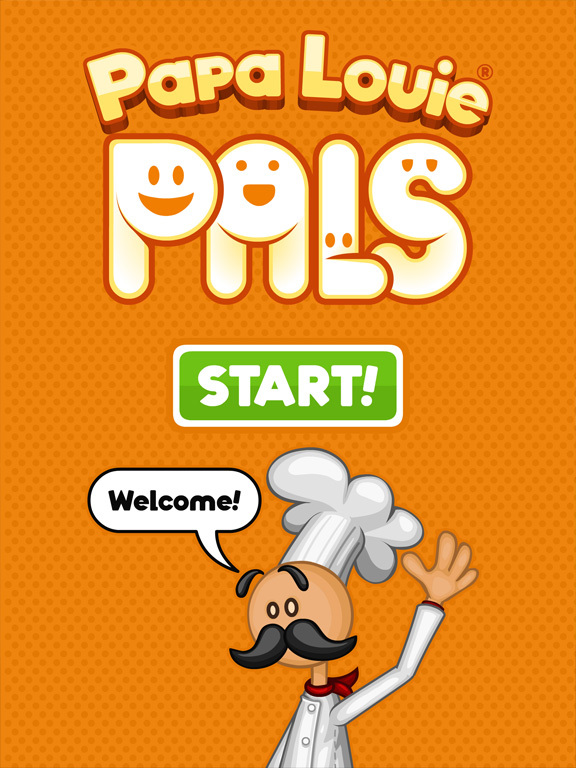 ADD PAPA LOUIE AND HIS FRIENDS: Are your Pals looking for even more friends? You can also include Papa Louie and his famous customers from his many restaurants like Papa’s Freezeria! Multiple Customer Packs are available that include a handful of customers, tons of new backgrounds and props for your scenes, as well as new clothing that any of your custom Pals can use. Customers can use all of the same poses and props as your Pals, and they even come with their own unique alternate outfits. SAVE AND SHARE: Once you've created a scene, you can save an image to your device, or share it with your friends through messages or on social media! You can also go back and edit any of your saved scenes and Pals whenever you like. ENDLESS POSSIBILITIES: Use the images of your scenes for all sorts of things like comic strips, memes, or visual fan fiction. Showcase your character designs, create crazy situations for your Pals, or tell a story across multiple scenes. Papa Louie Pals™, game and characters are © 2006-2018 Flipline IDS LLC. All Rights Reserved.